Welcome to MOLLY MAID of West Chester! Where we’ve been providing residents in West Chester, Cincinnati, Mason, Liberty Township, and areas surrounding the Queen City with local maid service they can depend on for the last 13 years. We’re proud to offer our West Chester house cleaning services to the Cincinnati area's Northern and Northeastern neighborhoods, including but not limited to Hamilton, Loveland, Maineville, Middletown, and Fairfield. Molly Maid is your trusted choice in quality guaranteed, professional West Chester maid service. Whether you are looking for a regularly scheduled residential cleaning or a one-time clean, we can create a custom plan that works for your schedule. From kitchen cupboards to bathroom tiles and living room baseboards, leave all the housework to our West Chester home cleaning professionals. They will clean your home to your satisfaction—guaranteed! 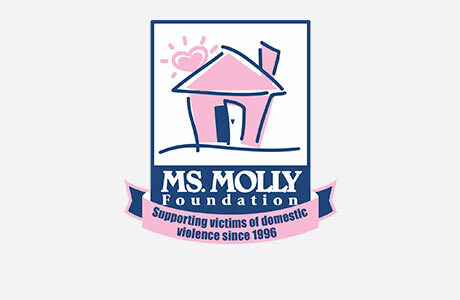 At MOLLY MAID of West Chester, we are more than just a house cleaning company. We're a proud supporter of Butler County's Dove House Shelter, which is a protective shelter for victims of domestic violence. We feel it’s important to give back to the community we live in and serve every day. If you have any additional questions about our West Chester house cleaning services, please give us a call at (513) 370-2561. Request a free in-home estimate today and learn why your local Molly Maid is the most trusted name in home cleaning. Can I trust your maids? Yes. We insure, bond, and train every employee. In addition, we go beyond our competitors in that every employee must pass a formal criminal background check and drug screening. Yes. When you are on a recurring schedule, your fee is a dependable flat fee. We give your home all the attention it deserves by cleaning until the job is done, regardless of how long it takes. We also guarantee our work, so if you're not satisfied, we'll cheerfully re-clean the area. We don't believe in contracts! You are in no way bound to use our services which means we have to earn your business each and every time we clean for you.